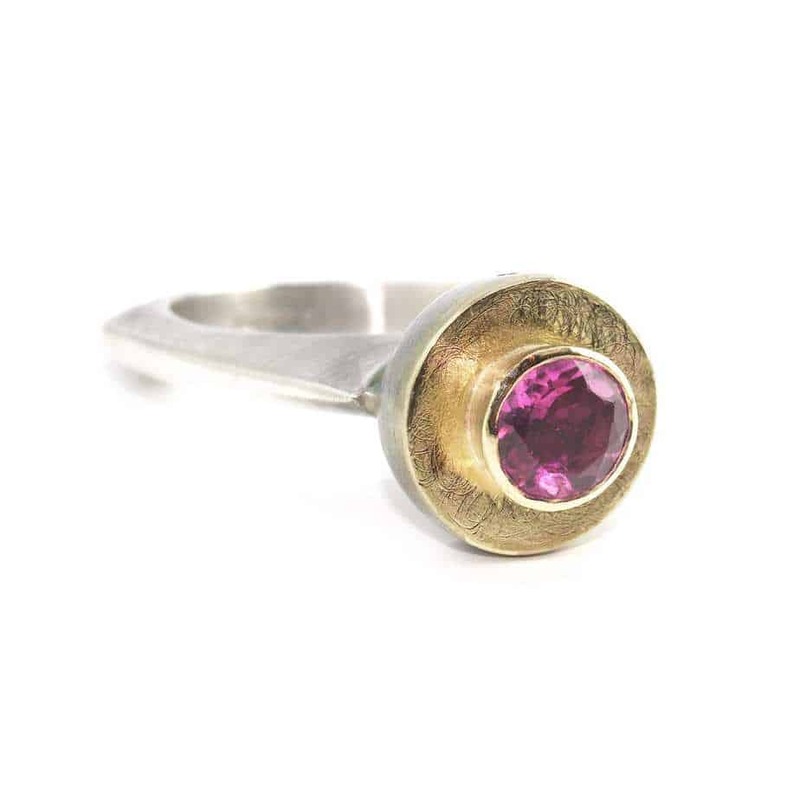 This ring is unusual from all angles – the shaped ring supports a domed setting showing off a lovely pink tourmaline in rich yellow gold. We thought you would like to know has been eyeing up our Sterling Silver 18k Yellow Gold Pink Tourmaline Ring for some time now and has requested we bring it your attention. What's your question about Sterling Silver 18k Yellow Gold Pink Tourmaline Ring? 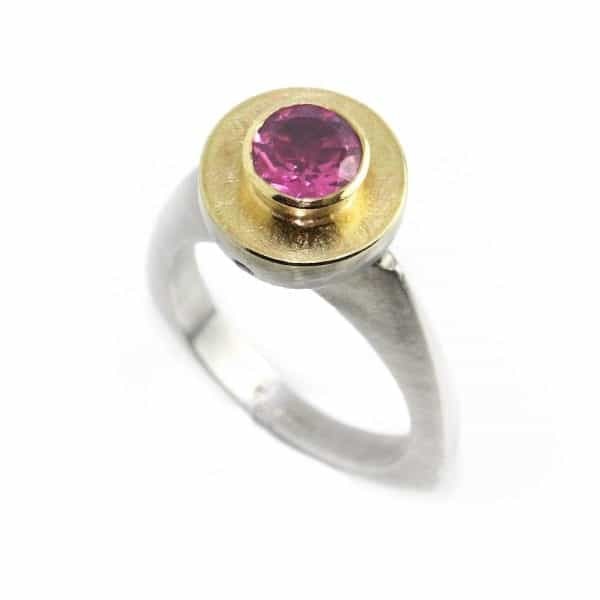 An exquisite and unique sterling silver and 18k yellow gold ring set with a beautiful pink round brilliant cut tourmaline in a glorious 18k yellow gold raised bezel setting. 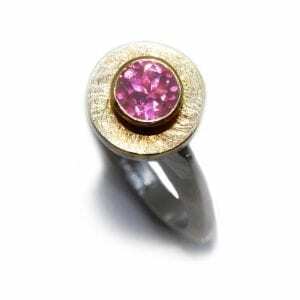 The raised dome setting also holds two pink tourmalines on each side for added sparkle. Ring Size: L1/2. Band Width: 2mm. Band Profile: Square. Setting Diameter: 7mm. 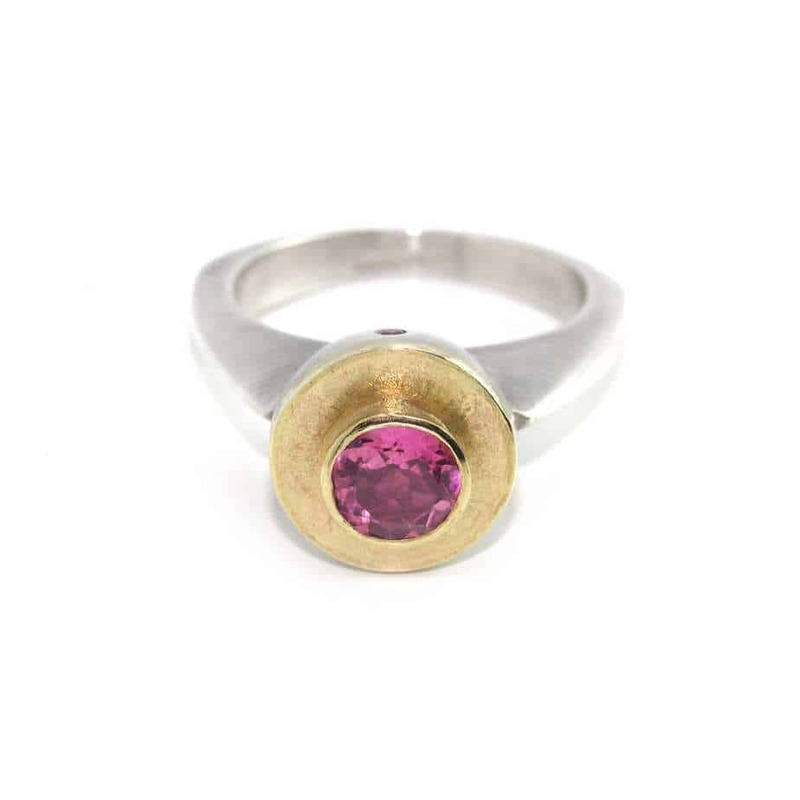 Note: Available in different ring sizes, metals, gemstones. Matching necklace available.